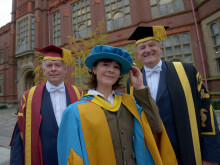 Four eminent figures from the fields of law, medicine, business and influential writing will be awarded honorary degrees from Northumbria University, Newcastle, this summer. 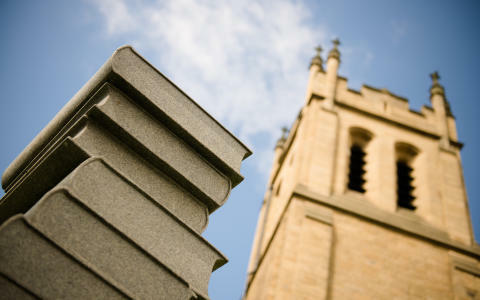 The degrees will be awarded during the University’s annual honorary degree ceremonies, which take place between Thursday 6th July and Wednesday 12th July. The Rt Hon Lord Mackay of Clashfern, one of the UK’s most respected and influential legal figures in recent times, is to receive a Doctor of Civil Law. 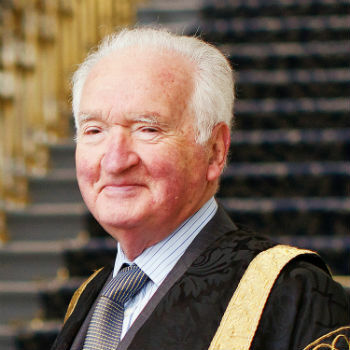 Having practised as an Advocate from 1955, Lord Mackay became a QC in 1965 and was Dean of the Faculty of Advocates before being appointed Lord Advocate in 1979. Judicial office in Scotland in 1984 was followed within a year by his appointment as a Lord of Appeal in Ordinary of the House of Lords, then the UK’s highest court of appeal. An already distinguished career was to become unique when, in 1987, Prime Minister Margaret Thatcher invited Lord Mackay to become Lord Chancellor of Great Britain and he was to become the longest continuously serving Lord Chancellor in the 20th century. 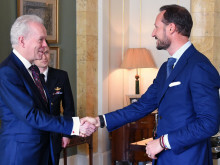 Many other honours have followed, including his appointment as a Knight of the Thistle in 1999 – equivalent to the Order of the Garter in England. Lord Mackay has continued to be active in the House of Lords, frequently participating in debates. In 2007 he was appointed as Lord Clerk Register of Scotland and ex officio Keeper of the Signet, the seal of the sovereign in Scotland. 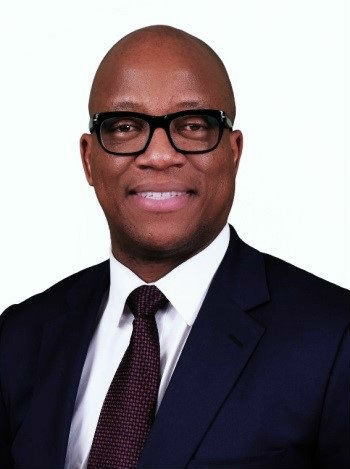 Professor Kevin Fenton, Director of Health and Wellbeing at Public Health England, is to be awarded the degree of Doctor of Science. 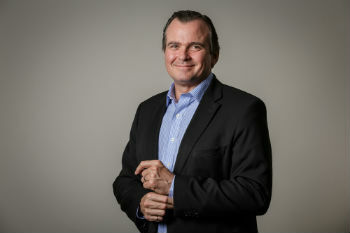 Professor Fenton is a medical doctor, academic and public health specialist who has played a pivotal role in shaping public health in the UK, Europe and in the USA. 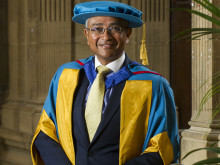 Born in Glasgow, he grew up in Jamaica and it was whilst doing his medical training at the University of West Indies that Professor Fenton first began to contemplate a career in public health. Even at this young age, he recognised the enormous potential for public health to impact positively upon many people. Professor Fenton became Director of the HIV and Sexually Transmitted Infections Department for the UK Health Protection Agency in 2002. In 2005, he moved to the USA and became the Director of the Centers for Disease Control (CDC) National Center for HIV/AIDS, Viral Hepatitis, STD and TB prevention. Under his leadership, CDC introduced new systems and procedures in the USA that have since positively impacted upon millions of lives. He transformed the policy regarding screening for HIV and this has reduced the incidence of undiagnosed HIV in the USA and ultimately led to a change in the World Health Organisation policy regarding HIV screening. He initiated similar changes for the screening of Hepatitis C and he also introduced prophylactic pharmacological treatments to reduce the transmission of HIV in people at high risk of infection. In 2013, Professor Fenton moved back to the UK to become the National Director for Health and Wellbeing at Public Health England. In this role, he was responsible for national prevention programmes including screening for cancer and chronic conditions, such as cardiovascular disease and diabetes, national health marketing campaigns, tackling health inequalities, and national prevention programmes including tobacco control, alcohol harm reduction, and NHS Health Checks. Adam Serfontein, Deputy Chair of the Board of Governors at Northumbria University, will be admitted to the degree of Doctor of Civil Law during this year’s ceremonies. Adam is the Managing Director of the Hanro Group, one of the largest privately owned property investment companies in the North East. A local family business, Hanro was founded in 1921 as R. Rankin and Sons Transport. Diversifying into motorcar and fuel sales, with subsidiaries in finance and oil, it at one time employed 650 people. Within a few months of Adam joining the business, it sold its non-core interests to concentrate on property development and investment. Eight years later, in 2007, Adam was appointed MD. He chairs NE1, Newcastle’s international award-winning Business Improvement District company. NE1 instigated Alive after Five, an evening economy worth an estimated £700 million, and has secured investments of £30 million for the redevelopment of Central Station and the Bigg Market. Adam is also a member of the advisory board for InvestNewcastle, which helps businesses to locate, expand and flourish in the city; and chairs Developing Consensus, an alliance of private- and public-sector organisations, including Northumbria University, that has invested £1 billion in the regional economy over that last ten years. Adam is Chairman of the development board of Marie Curie hospice in Newcastle. 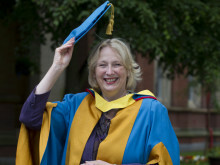 Beatrix Campbell is an award-winning journalist, author, broadcaster, campaigner and playwright, who will receive the degree of Doctor of Letters from Northumbria University. Beatrix Campbell, OBE – or Bea as she is known – was born in Carlisle in 1947. Aged 14 she took part in the Campaign for Nuclear Disarmament’s march from Aldermaston to London in protest against nuclear weapons, and was still a teenager when she joined the Communist Party. On leaving school, Bea worked as a reporter at the Morning Star, the voice of the Central Committee of the Communist Party of Great Britain. She recalls being ‘intoxicated’ by the women's liberation movement and, in 1972, co-founded the influential Red Rag: a Magazine of Women’s Liberation and Marxism. During the economic crisis of 1980s’ Britain, Bea began to flex her literary muscles. As a columnist on Marxism Today – the publication that coined the term ‘Thatcherism’ – she reimagined George Orwell’s The Road to Wigan Pier. In her Fawcett Society Prize-winning book, The Iron Ladies, she casts a curious eye on the Conservative Party’s historic base among women voters. In Goliath she dissects Britain’s dangerous places. And in Agreement! The State, Conflict and Change in Northern Ireland, she analyses the egalitarian peace treaty that was crafted out of decades of armed conflict. 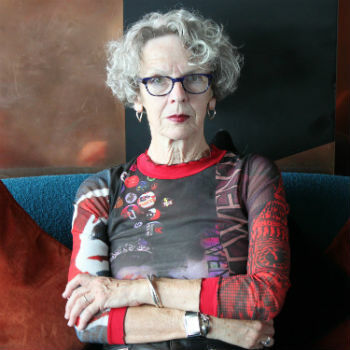 Her work has gained several awards, including the Cheltenham Literature Festival Prize in 1984, the Fawcett Society Prize in 1987 and the First Time Producers Award in 1990. In 2011 Bea was named by The Guardian in its list of Britain’s Top 300 Intellectuals and one of the 100 most influential gay people of the year in the 2012 World Pride Power List. The Duchess of Northumberland has been awarded an honorary degree from Northumbria University, Newcastle to recognise her significant contribution to the region. 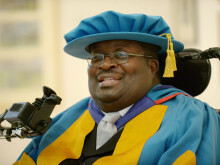 Musician and performer Clarence Sarkodee-Adoo has received an Honorary Doctorate of Music from Northumbria University, Newcastle. 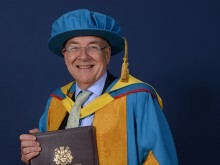 Professor Howard Thomas joined students who had studied his texts to receive a degree of his own at Northumbria University. 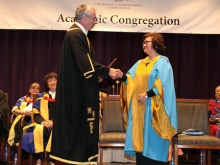 Northumbria University, Newcastle, has awarded an Honorary Doctorate of Civil Law to Mrs Carrie Yau, the Executive Director of the Hong Kong Vocational Training Council (VTC) in recognition of her contribution to the promotion of vocational education, skills and in-company development in Hong Kong. Jayne-Anne Gadhia has been awarded an Honorary Degree by Northumbria University, Newcastle, in recognition of her prosperous career in finance and banking. 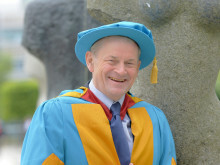 The Rt Hon Lord Mackay of Clashfern has received an honorary degree from Northumbria University, Newcastle, for his contribution to the UK judicial system. Beatrix Campbell OBE has received an honorary degree from Northumbria University, Newcastle, for her lifelong and outstanding service to equal opportunities.